Sally Beauman’s Rebecca’s Tale, a sequel to du Maurier’s haunting Rebecca, is a book which I have been looking forward to reading for years. It has proved quite an elusive title to locate however, so I had not been able to find it in any bookshops, and thought that my du Maurier December project gave me the perfect excuse to order a copy. I was incredibly intrigued to see where Beauman would take the story. Rebecca’s Tale was published in 2001 and is largely set in 1951, twenty years after the inquest which ruled that Rebecca’s death was a suicide. The novel is split into four parts, all of which follow a different character; friend of Rebecca’s Arthur Julyan, historian Terence Grey, the diary of Rebecca herself, and Ellie, Arthur Julyan’s daughter. Each of the characters writing in 1951 is aiming to discover the truth of Rebecca’s death in his or her own way. One imagines that this sequel of sorts, with its opening line the same as the original’s, could not really have begun in any other way. In his introductory chapter, Julyan, a former army colonel and retired magistrate, states: ‘I’ve concealed the truth about Rebecca de Winter for too long… I decided to record, for the first time, and leaving nothing out, everything I know about Manderley, the de Winters, Rebecca, her mysterious life and her mysterious death’. He goes on to rehash many of the details from du Maurier’s original, none of which I will relate here for fear of giving away spoilers to those of you who have not yet read Rebecca. Julyan lives in Kerrith, the ‘nearest small town to Manderley’, and rather adored Rebecca when the two knew one another: ‘I was Rebecca’s friend; I knew, better than anyone, how well Rebecca had covered her tracks, how secretive she’d been’. He goes on to say: ‘I’ve always believed that you cannot understand Rebecca and what she became unless you understand the family she married into. I’ve always felt that if I were searching for clues to Rebecca, Manderley was the first place to look’. He cites himself as the ‘prime source’ of finding out what happened to her, particularly now that her husband Maxim de Winter has passed away. Through Julyan, we meet both Maxim and Beatrice de Winter as children – although it must be said that the two are not overly believable when Beauman writes about them. Danvers, Rebecca’s formidable confidante of sorts, and an ardent worshipper of the young woman, has disappeared without a trace. Julyan is sent a package containing a notebook with the words, ‘in a child’s spiky hand, the tail of the last letter curling down the page in a long punning flourish. Rebecca’s Tale‘. His portion of the novel is largely told in retrospect. Julyan’s narrative voice feels rather overdone at times; feminine phrasing creeps in from time to time, and there is nothing presented to us which is overly masculine within his character. He tends to be a little pompous at times; unnecessarily so, one cannot help but think. This aspect of his personality becomes more and more grating as the novel goes on. Historian Terence Grey narrates the second part of the novel and is, says Julyan, ‘crucial to my Rebecca “quest”‘. Whilst I can see why the perspectives of both Grey and Julyan’s daughter Ellie have been used, both of them feel rather overdone on the whole, and consequently I did not grow to like any of the characters. The plentiful positive reviews lavished across the cover of Rebecca’s Tale led me to believe that I would very much enjoy the book. I had rather varied feelings about it though, and whilst I very much enjoyed some sections, I really disliked others. On the back of the novel, a quote from author Linda Grant proclaims the following: ‘While both du Maurier and Beauman are great storytellers, Beauman really is the better prose writer’. I did not personally agree with this at all. Comparably, I do not think Beauman’s writing is anywhere near as strong nor as vivid as du Maurier’s, and she also does not make her male narrative voices sound realistic, something which du Maurier herself is wonderful at. Rebecca’s Tale is, to an extent, well written, and it does become more absorbing as it goes on, but when a new narrative perspective is introduced – particularly with regard to that of Terence Grey’s – a lot of the details which Julyan has already related are repeated for no particular reason. This would be relatively bearable, were it not for the fact that the same phrases are used, often in their entirety. Speaking of the title which Rebecca wrote in her notebook, for example, Grey describes it as a ‘childish punning flourish’, rather than Julyan’s aforementioned ‘long punning flourish’. Grey’s voice also feels even more effeminate than Julyan’s. I feel that I do not have to write that Rebecca’s Tale is nowhere near as compelling as Rebecca. Whilst I admire what Beauman has done in creating a sequel to a much-loved and rather phenomenal novel, I do not see why her effort had to be quite so repetitive. Whilst her novel is well paced, several of the elements are bogged down by superfluous – and again, often repetitive – descriptions, and less interesting aspects of the plot. Disappointingly, I did guess a lot of the twists and turns within the story. One of the strengths of Rebecca’s Tale was Beauman’s original blending of the original characters with her new creations. Another is the way in which some depth was added to the shadowy past of Rebecca herself. Rebecca’s Tale is an interesting read for anyone who has enjoyed Rebecca, but the conclusions which Beauman draws are often far too obvious, quite unsatisfactory, and sometimes are not anywhere near subtle enough to work. All in all, the very idea of a sequel to Rebecca, that much adored of Gothic novels, is rather inviting, but it is not entirely necessary. As a reader and ardent fan of her work, I respect du Maurier’s decision to end Rebecca in the way in which she did. Whilst it is pleasing that another author has taken to the helm, I cannot convince myself that du Maurier would have utilised many of the same elements as Beauman has in Rebecca’s Tale. Thank you so much to everyone who took part in my Du Maurier December project, whether you blogged about the books you read or not. The links which I have received thus far to reviews of du Maurier’s work, as well as my own, can be found below. If you have reviewed one (or more) of her works and I have somehow overlooked them, please reply with a link in the comments section below, and I will happily add them to this list. The last day of December is upon us, and with it comes an end to my du Maurier December project. I have had great fun reading the rest of du Maurier’s work, as well as literary criticism about her, and I hope that everyone who has joined in has enjoyed the project too. Whilst I am on my yearly blogging hiatus until next week, I would love to see all of your du Maurier reviews which were posted during December. I will be creating a master list of sorts, so if you can link all appropriate posts into the comments section, that would be marvellous. Thanks so much to everyone who has taken part in du Maurier December! I am planning on running something similar in 2015, so if you have any authors to suggest, I would love to hear them. Before I purchased Rule Britannia for this month’s project, I had no idea that Daphne du Maurier had turned her talented hand to apocalyptic fiction. 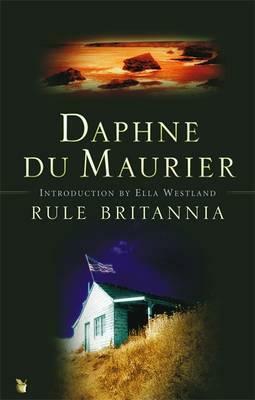 First published in 1972, the novel is a ‘chilling’ version of the future, in which du Maurier ‘explores the implications of a political, economic and military alliance between Britain and the United States’. In essence, Rule Britannia is the author’s own exploration of a Cold War situation, in which a superpower named USUK is created in order to try and reduce the threat from other countries. In Ella Westland’s introduction, she writes: ‘In Rule Britannia‘s sardonic scenaro for the 1970s, the United States administration sets up an alliance with the UK government over the heads of the British people, and sends in the Marines to quell the troublemakers. But the authorities reckon without the truculence of the Celtic fringe’. Westland speaks of real-world politics alongside the events within the novel, and also draws parallels with du Maurier’s other, more famous work: ‘despite its dream opening, dangerous cliffs, dead bodies, and the slanting of the story through a young woman’s eyes – all the elements in common with Rebecca – Daphne du Maurier’s last novel is indeed very different from the book that made her world-famous’. Westland’s introduction has been carefully written, and each element of importance surrounding Rule Britannia – the thoughts of reviewers and the odd aspects of the plot, for example – has been considered intelligently. Westland goes on to say: ‘In the zany Cornish world of Rule Britannia, Peter Pan meets the marines. Mad’s cool and sensible granddaughter plays Wendy to Mad’s Peter Pan, the lovable and exasperating fantasist who refuses to grow up’. Due to the USUK alliance, eighteen-year-old Emma’s life, and the world she knows, is shattered: ‘There’s no post, no telephone, no radio – and an American warship sits in the harbour’. When Emma wakes to no radio signal and problems all around her in the first chapter, the novel’s omniscient narrator says the following: ‘And this, she told herself, is what comes of living in a mad-house, rightly named after its owner [Emma’s grandmother, Mad], who, on retiring from the stage some years ago after a brilliant career, could think of nothing better to do than to adopt six parentless, maladjusted boys and let them run riot in her home, believing, by doing so, that she had justification for living when her career had finished’. The characters in Rule Britannia are largely well-drawn, and all are distinctive and rather memorable. The boys which Mad has adopted are all quite different; Andy, for example, is adventurous and likes to clamber onto the roof of the house to shoot his bow and arrow, and Sam is rather obsessed with saving injured animals. 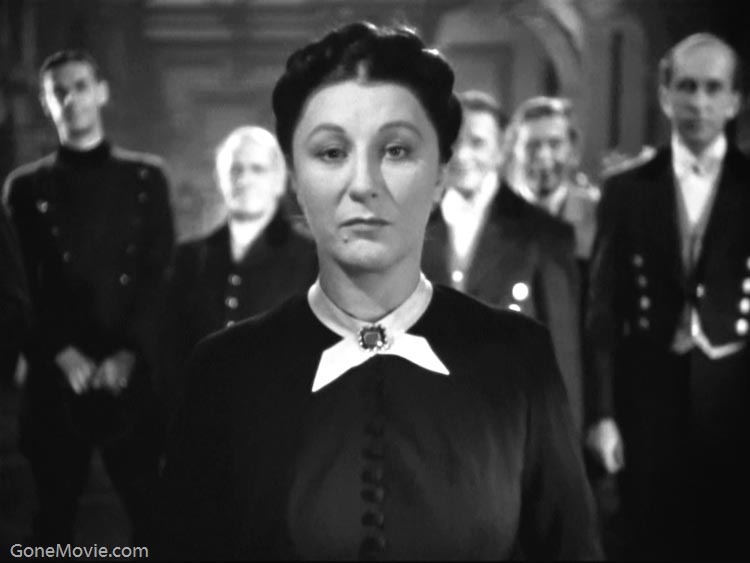 The majority of the protagonists do feel like du Maurier creations. Du Maurier demonstrates the way in which such a situation so affects the civilian quota, and can so easily create conditions with which people can pitch themselves against one another, creating an ‘Us’ and ‘Them’ culture. She shows the way in which such an alliance has the potential to change everything, from education to the standard national currency, and how hostility can so quickly manifest itself within society. Divisions are set out immediately when we find out that Emma’s merchant banker father is he enemy of sorts; he represents the ‘clueless’ London majority in the book who are intent upon ruling over all. Mad believes that he is ‘Treading the corridors of power. If there is any power left’. In the small Cornish village in which Emma and Mad live, a resistance group is soon set up. Du Maurier has tried to give ‘her Cornwall back to the Cornish’, allowing them to defend their own county. Secrecy becomes a part of daily life, and it is never quite clear whom one is able to trust. Interestingly, aside from the setting and Cornish surnames used, there is nothing in the first few chapters of Rule Britannia which made me feel that it was distinctively du Maurier’s work. It feels far more modern in its prose style – and other respects – than a lot of her other work, and it is clear that the author adapted well to the time period in which she was writing. The entirety of Rule Britannia is rather cleverly done; the elements which du Maurier has woven into daily life could quite easily be true. She has made them feel eminently realistic, so much so that as a reader, I barely questioned any of the new or ‘different’ elements which were added. The novel is well paced, and the plot moves along quite quickly. My only criticism of the story itself is that as it goes on, some of the decisions which particular protagonists make, and conversations which they have with one another, can tend to feel quite out of character and unrealistic. The realism, which was so well shown at first, seems to diminish rather in places. The mantra which Mad consequently drums into those around her to excuse them for their questionable behaviour is that ‘these are not normal times’, but this does not go quite far enough to excuse some of the events which occur. Rifts soon develop within the family too, running simultaneously alongside the problems in the wider community. Rule Britannia is almost sinister at times; it feels as though the ever-present darkness within du Maurier’s short stories has crept in and firmly rooted itself. The novel is an incredibly interesting one, particularly when one is familiar with du Maurier’s other work. Interesting comparisons can be drawn to her other novels throughout. Rule Britannia is engaging from start to finish, and whilst it is very different to the majority of her other work in a plethora of different ways, it is, I think, one of her strongest novels. Thsi video features Daphne du Maurier’s musings about the changing landscape of Cornwall. For Boxing Day, I have compiled together four most interesting interviews about Daphne du Maurier and her work. In The Paris Review, Sadie Stein talks of Rebecca, and the Telegraph muses upon how du Maurier came to write her most famous novel. Kits Browning takes this further in this fascinating blog post, in which he talks of his mother’s autobiographical inspiration for Rebecca. Finally, here is an interview with du Maurier herself on the Cornwall Guide’s site.